Heineken’s new recruitment drive, “Go Places” is led by a musical video featuring actual Heineken employees, inviting potential candidates to respond to 12 questions, which must be answered in three to five seconds. Based on the Enneagram model, the results give you a personal profile, which must be sent along with your CV when applying for your Heineken dream role on LinkedIn. The “Go Places” site, created by Wefilm, Cloudfactory and Superhero Cheesecake (which managed the tech and interactivity), makes the interview process feel thorough, quick and surprisingly fun. The “interview” is also a tribute to Heineken’s attention to detail. Everything from the Interviewer’s clock, which shows your local time, to the beers and food he flashes before you. “You see empanadas when watching in Mexico, and a noodle soup when viewing in Vietnam. The same thing occurs when presented a local beer—you see one that is actually local in your market: Amstel beer in the Netherlands (a Heineken company beer!) and Star Beer in Nigeria (also a Heineken beer),” says Verstegen. The story behind the ‘Go Places’ campaign is highly influenced by its employees. “They wanted it to be a manifesto internally, for new employees and for new breweries, so they would feel what Heineken Company was about,” says Cloudfactory creative Jessica Kersten. As the candidate seated himself, Freddy would get a staged call from the HR department, requesting critical documentation. As Freddy’s chauffeur drove the candidate away, Freddy would grill his wife to find out who this guy truly was. “It was like Freddy’s ghost gave us the key!” Cloudfactory creative Sandrine Huijgen exclaims. 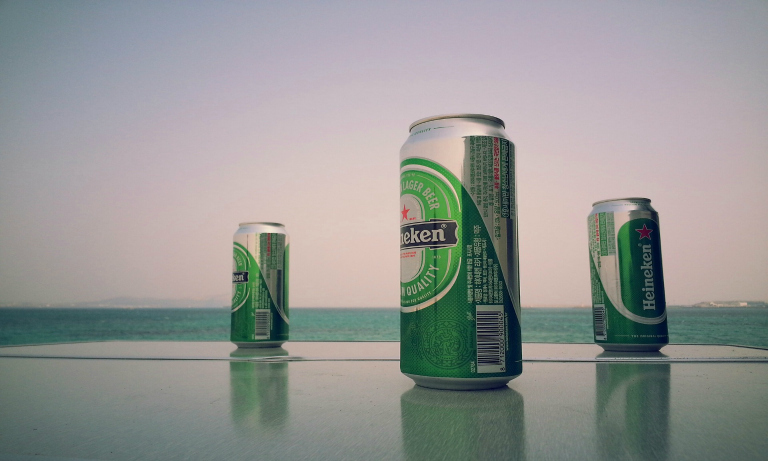 “If you take the Interview, you feel the Heineken Company is unlike any other,” Kersten adds. “When you go through the questions and feel the humour, the energy and vibrancy of the employees, you want to join them! Finally, an interview is in reality a moment when a company and a potential employee evaluate if they are going to be a match. The Heineken campaign is now live on LinkedIn and Facebook.